On Attack & Defend games, such as Castle Wallenberg or Afghan Fort, using decoys can sometimes be particularly effective. The defending team will be keeping an eye out for the attacking players making a run for the flag or escorting the bomb towards their position. When attacking in these games it can sometimes be extremely effective to use decoys – simply send out a few of the fastest members of your team in a few directions towards the enemy to distract them and draw their fire away from the real bomb or flag runner. Everyone runs out of paintballs in the middle of a battle from time to time. It might be a scary feeling running out of paintballs in a heated firefight but remember that all is not lost. Over the years, we have seen countless games being won by players who bluff their way to victory. The only problem with bluffing your enemy by firing blanks is that they might realize what you’re doing and your plan could backfire horribly! Although they might be risky and can sometimes be downright stupid, they’re definitely not as scary as they sound! Sometimes ignoring your instincts and making a mad dash for the objective can either take the enemy completely by surprise or distract them long enough for your team to make a move! We’ve said it before and we’ll continue to say it – paintball is all about teamwork! Imagine a situation where you and two other team members are pinned down behind a bunker. Rather than trying to reel off a couple of shots at random, keeping your head down and allowing the opposition to surround your position, you should execute a team play as a unit – have one of you remain behind the bunker providing covering fire while the other two, after the count of three, run off in two separate directions towards other cover. It might seem like a risk at first but you’ll quickly gain the upper hand over the enemy. Unfortunately for our younger players this only applies to the 18+. Making the most of pyrotechnics can be the key to victory in some games; smoke grenades can provide your team with a smoke-shield to use to their advantage, paint grenades are a great way of taking multiple enemies out in one go and nothing gets the enemy out of hiding like a well-placed thunderflash! Be sure to use pyrotechnics responsibly. 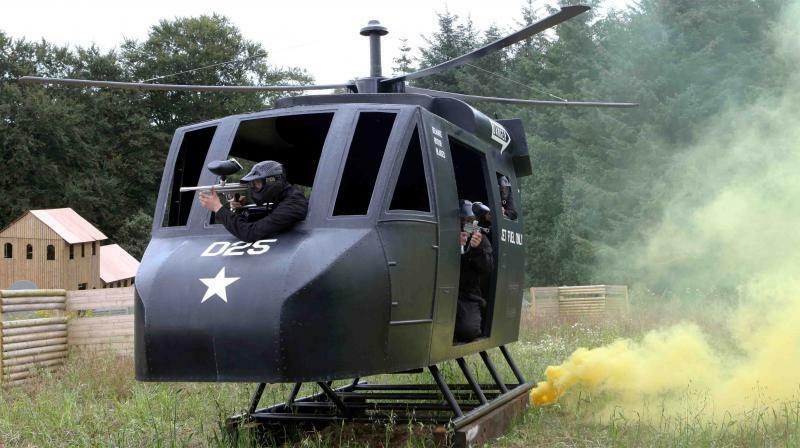 The Delta Force blog is a great place to read up on all sorts of paintball tips, tricks, techniques and other paintball related articles so be sure to stop by regularly. 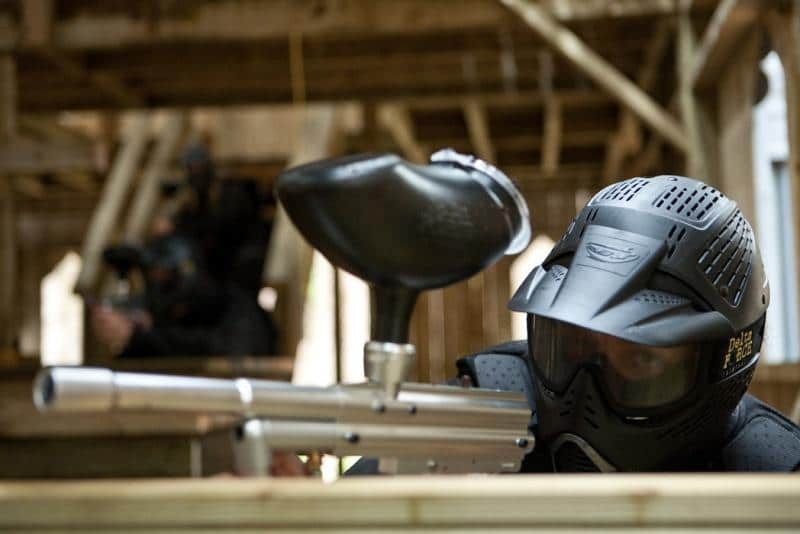 Our facebook page is also regularly updated with all things paintball so be sure to ‘like’ Delta Force Paintball on facebook and start reaping the benefits.